Are you looking to begin designing your dream kitchen? Then you’ve come to the right place! They say the kitchen is the heart of the home, where most of the time is spent with family and friends. AND I couldn’t agree more. Whether you’re into the minimalistic lifestyle and want to go that route with your kitchen design, or maybe you’re more into bold colors and prints. Whatever your preference is you’ll have all it takes to bring your dream kitchen to life! Below are a few custom kitchen designs you may want to consider. Mix two different cabinet colors. 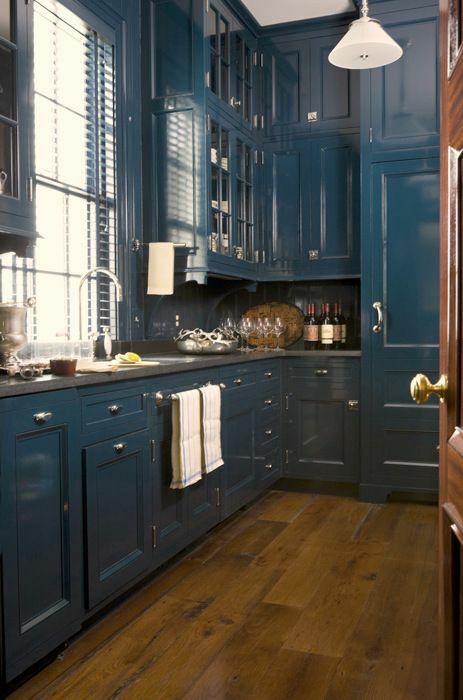 Pair wood cabinets with painted cabinets whether upper or lower. It sounds a bit crazy, but it looks gorgeous once you bring it to life. 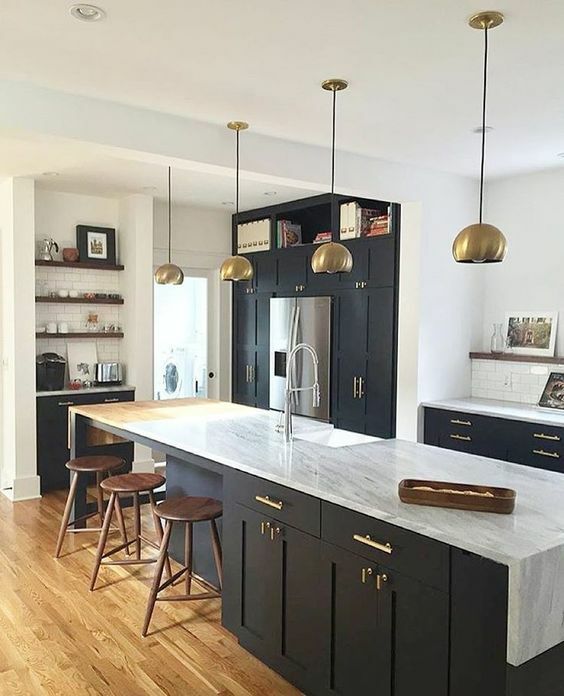 Matte black fixtures and hardware have been trendier than ever when it comes to kitchens. 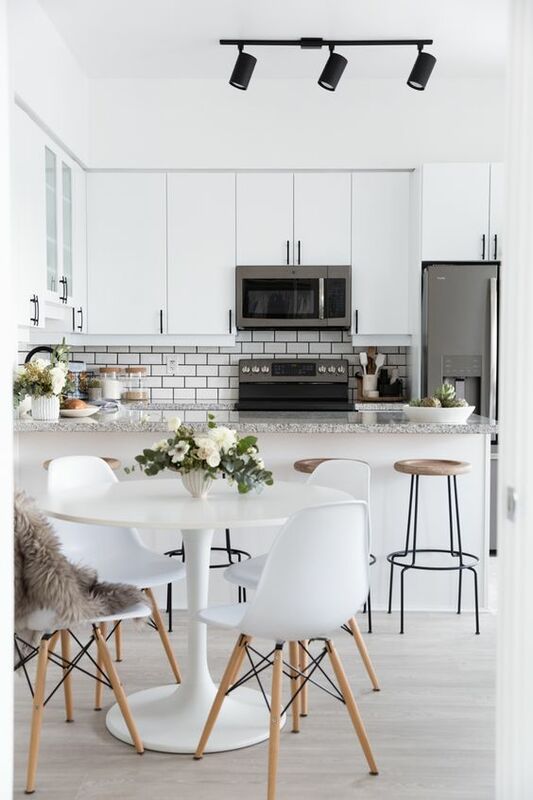 Add it to your all white minimalist kitchen for a fun way to subtly add contrast to wood cabinets and more traditional Shaker style kitchens. 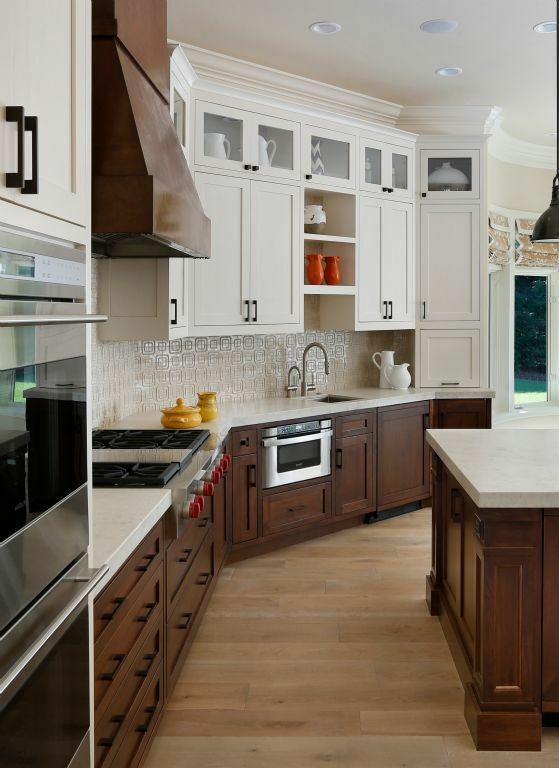 Add beadboard accents on drawer fronts, hood vent surrounds, or island fronts. 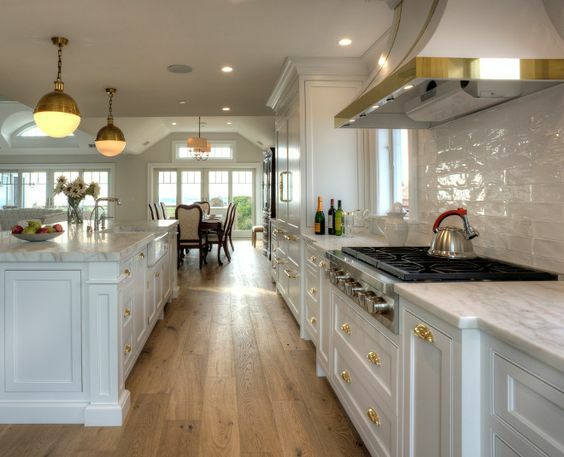 Beadboards are an eye-catching way to add subtle texture to a kitchen. 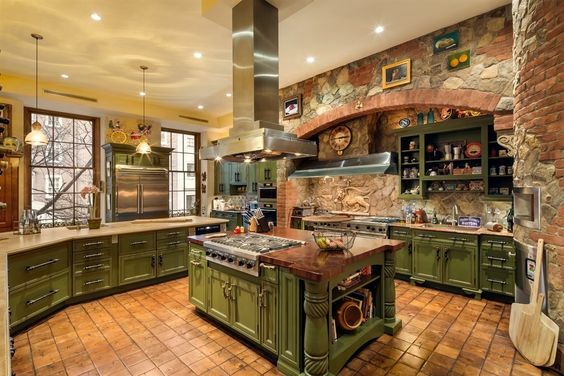 Incorporate more stone into your kitchen. Abstract canvases and using natural stone beyond countertops are all the hype right now. 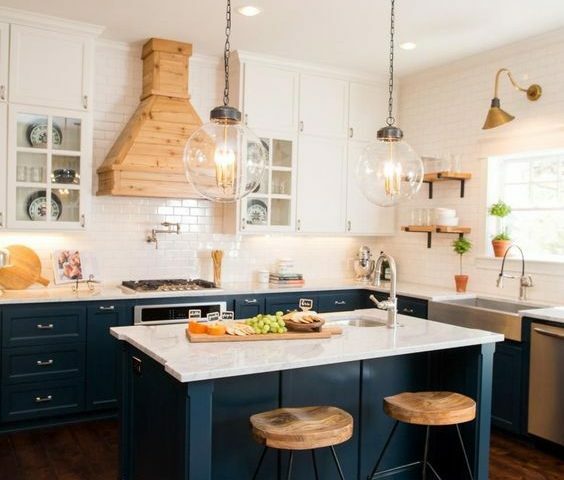 Try continuing the stone material to waterfall edges and tall backsplashes – carry the stone all the way to the ceiling, and fabricate drawer fronts and hood vent covers out of natural stone. When I say go green I don’t mean environmentally. I mean actually the color green. Pair green with brass and white. I can guarantee this will give you the most gorgeous kitchen you have ever seen. Keep it simple. 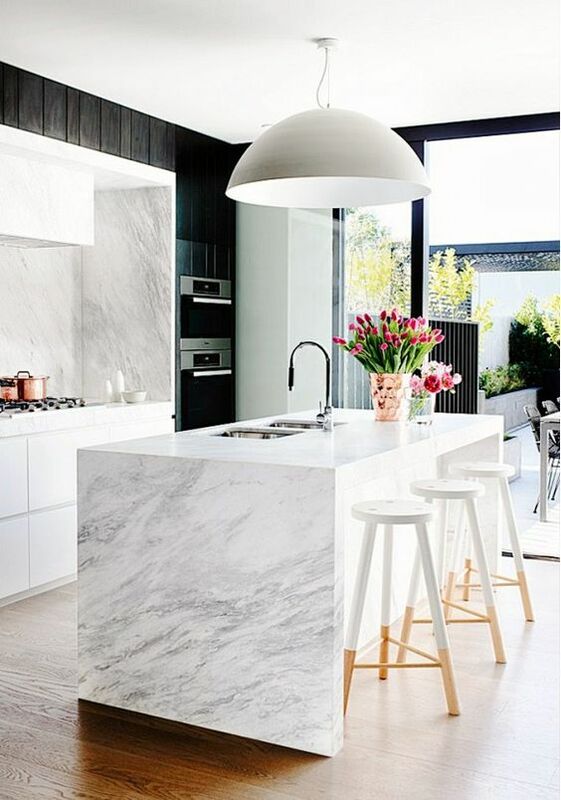 All you need to add some dimension to all-white kitchen is wooden counter stools, and maybe a solitary plant leaf. 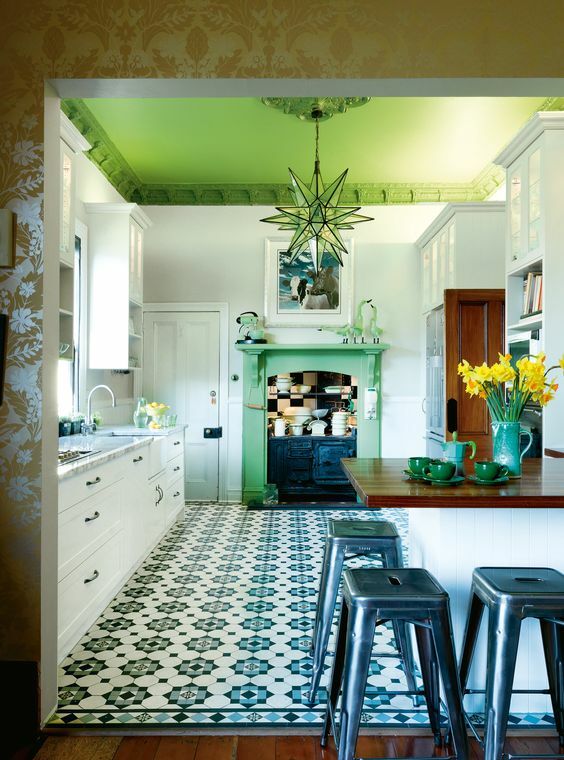 Go all out with a bold patterned floor. 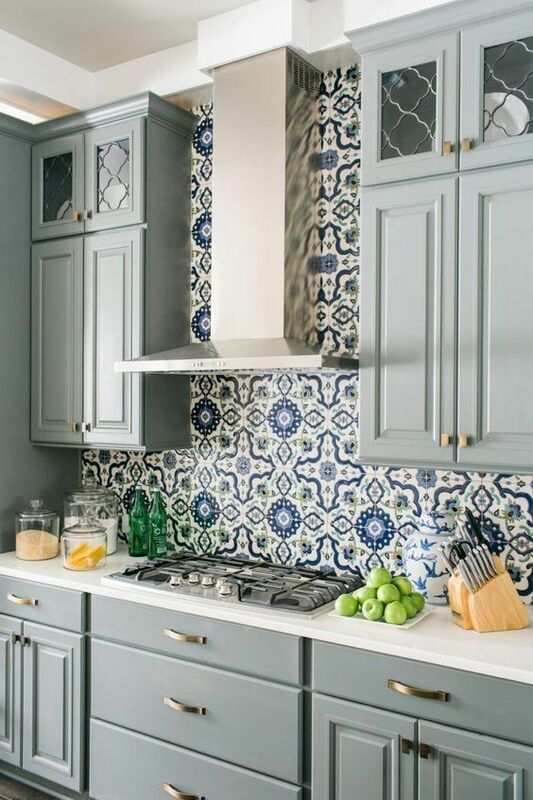 Let your tiles be the center of attention in your kitchen. Marble can be as fancy or industrial-cool as you want it to be, based on what you pair it with. Try going for a black and gold range. 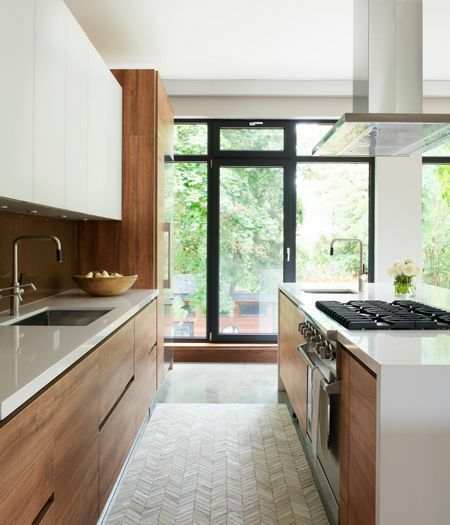 Go for sleek, streamlined wood. Add some potted plants to add some pizzazz to your kitchen. Go for a blue and white, and take it to the next level with a vibrant burst of cobalt. It will leave your kitchen making a classic statement. A green or red gingham ceiling gives a classic white kitchen the pop it needs. 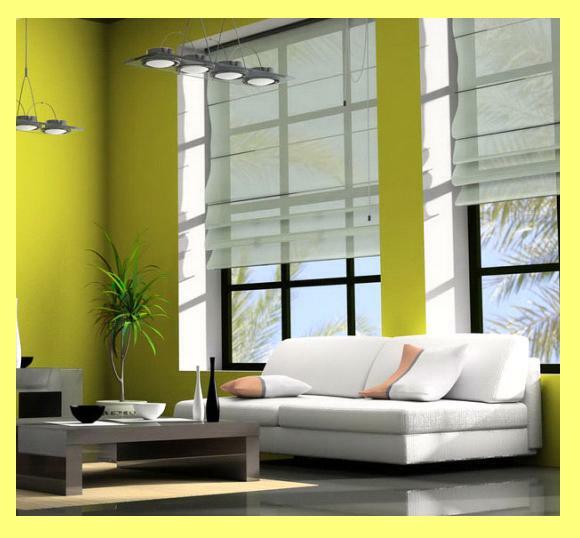 It adds drama to high ceilings, while making the room a little cozier. 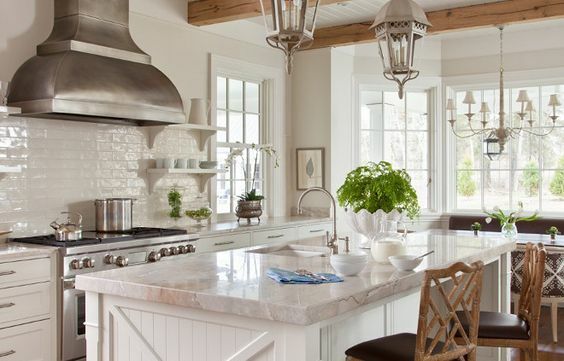 Swap out hardware to liven up an all-white kitchen. 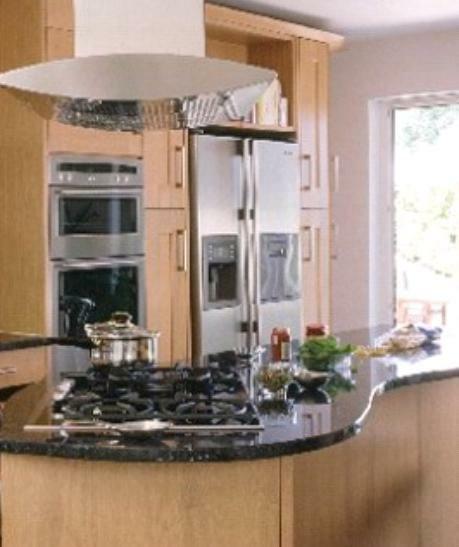 Try going for brass to add a bit of elegance to your kitchen.